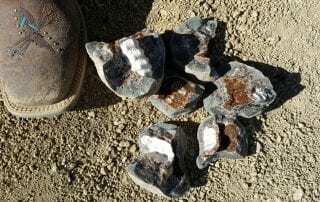 Science writer Laura Geggel with Live Science named a new species of extinct marine mammal identified by two SMU paleontologists among "The 10 Strangest Animal Discoveries of 2015." 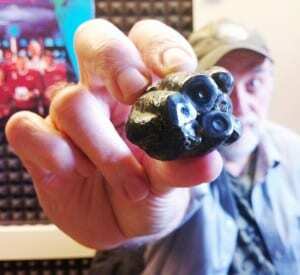 The new species was identified by SMU paleontologist Louis L. Jacobs, a professor in the Roy M. Huffington Department of Earth Sciences, Dedman College of Humanities and Sciences, and paleontologist and SMU adjunct research professor Anthony Fiorillo, vice president of research and collections and chief curator at the Perot Museum of Nature and Science. KRBD Radio reporter Leila Kheiry covered the research of SMU paleontologist Louis L. Jacobs, a professor in the Roy M. Huffington Department of Earth Sciences, Dedman College of Humanities and Sciences Co-author on the research is paleontologist Anthony Fiorillo, vice president of research and collections and chief curator at the Perot Museum of Nature and Science, Dallas, and an adjunct research professor at SMU. Reporting for KERA News, North Texas' public media news source, journalist Kat Chow covered the 2015 annual meeting in Dallas in October of the international Society of Vertebrate Paleontology. Writing for London-based the Daily Mail, the world's largest online news source, science news journalist Ellie Zolfagharifard covered the research of SMU paleontologist Louis L. Jacobs, a professor in the Roy M. Huffington Department of Earth Sciences, Dedman College of Humanities and Sciences, and paleontologist Anthony Fiorillo, vice president of research and collections and chief curator at the Perot Museum of Nature and Science, Dallas, and an adjunct research professor at SMU. Alaska news reporter Mike Dunham with the Alaska Dispatch News covered the research of SMU paleontologist Louis L. Jacobs, a professor in the Roy M. Huffington Department of Earth Sciences, Dedman College of Humanities and Sciences, and paleontologist Anthony Fiorillo, vice president of research and collections and chief curator at the Perot Museum of Nature and Science, Dallas, and an adjunct research professor at SMU. Jacqueline Howard, associate science editor for The Huffington Post, covered the research of SMU paleontologist Louis L. Jacobs, a professor in the Roy M. Huffington Department of Earth Sciences, Dedman College of Humanities and Sciences, and paleontologist Anthony Fiorillo, vice president of research and collections and chief curator at the Perot Museum of Nature and Science, Dallas, and an adjunct research professor at SMU. Science writer Laura Geggel with Live Science covered the research of SMU paleontologist Louis L. Jacobs, a professor in the Roy M. Huffington Department of Earth Sciences, Dedman College of Humanities and Sciences, and paleontologist Anthony Fiorillo, vice president of research and collections and chief curator at the Perot Museum of Nature and Science, Dallas, and an adjunct research professor at SMU. 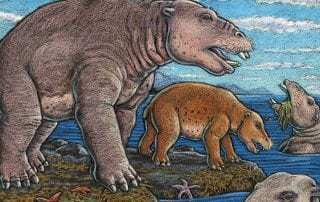 Identification of a new species of marine mammal has intensified the rare animal’s brief mysterious journey through prehistoric time. 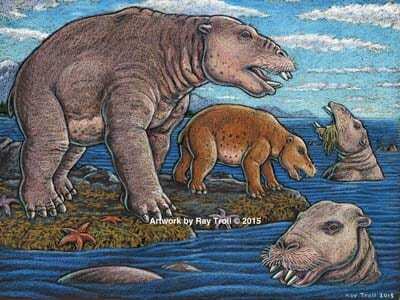 A big, hippo-sized animal with a long snout and tusks — the new species is a marine mammal belonging to the order Desmostylia.